The ironclads were the result when industrialism and naval warfare finally merged in the late 1850's. In a quarter century capital ships went from all-wood sailing ships to iron-armored, steam powered battleships with gun turrets and super heavy guns. Without a doubt, the best represented era is the American Civil War. Aside from that, it is very sparse whether you're looking for kits, plans or just general information. The kits are mostly Resin or paper models. Clearly, the large kit manufacturers see this as a niche market. For RC enthusiasts, there aren't any kits out there that I know of either. There are builders that have constructed their own from scratch, or modified the few (and often small) model kits that are on the market. They can be scratch built with solid block, bread-and-butter, plank on bulkhead or fiberglass hulls. If you decide to build a working model, they can be fitted with electric propulsion or live steam. Their bulky hulls and high displacement makes the hulls roomy for RC gear, motors, batteries and running hardware. In real life, this ship-type was never seen as particularly sea-worthy. Generally, when building working model boats, this can be a problem. Technically speaking, the biggest issue, for a running model will be steering arrangement and the low free-board. The low free-board makes in hard to waterproof the hull and construct a concealed access hatch. Having said that, with careful planning and execution a stunning and detailed RC model can be made. As noted, the challenge is mostly in the technical aspect, not in the fitting and details. As mentioned earlier, the ironclads from the American civil war era are popular model subjects. They are relatively easy to build with plain topsides, simple hull shapes and no rigging to contend with. There are a number of these Civil War ships available in kit form. No surprise, the USS Monitor and CSS Virginia are the most popular. 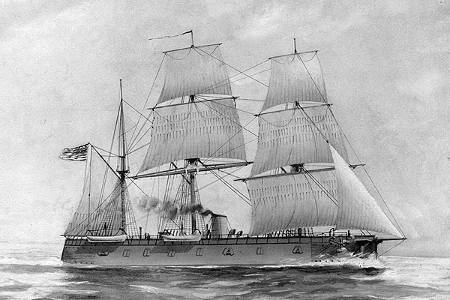 CSS Virginia was one of the first Confederate iron clads. She was rebuilt by the Confederates from the burnt out hull of the Union frigate USS Merrimack. CSS Virginia fought the USS Monitor at the battle of Hampton Roads in 1862. Follow this link for some neat pictures of CSS Virginia models taken at the Hampton Roads Naval Museum and the Mariners' Museum. Also, be sure to take a look at the CSS Virginia Plans. 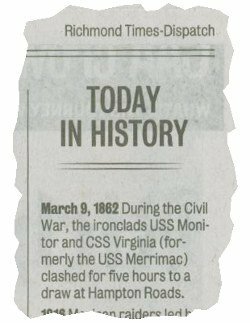 The USS Monitor fought the CSS Virginia in what was the first ever battle between ironclads. The USS Monitor became synonymous with an entire ship type – the Monitor. Most nations followed suit and built their own monitors in a frenzy between 1865 and 1880. A few were built later. Some saw service, albeit in gradually reduced roles, well passed World War Two. After multiple trips to the Mariners' Museum and Monitor Center, I decided to draw up some USS Monitor plans. The plans can be purchased and downloaded by following the link. HMS Warrior was built for the Royal Navy in 1860 as a direct response to the French ironclad La Gloire. They were both fully rigged ships. HMS Warrior was the first ever warship to have a hull built entirely out of iron. The ship has been restored and preserved as a museum in Portsmouth, UK. There is a book named "Building a Working Model Warship: HMS Warrior 1860" by William Mowll. The book describes how the author built a 1:48 working model of this ship. It turns out to be a massive model with working scale steam engine and working square rig. The plan has to be bought separately from the UK and consists of 14 sheets.